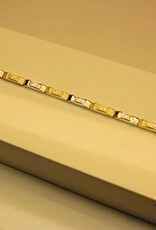 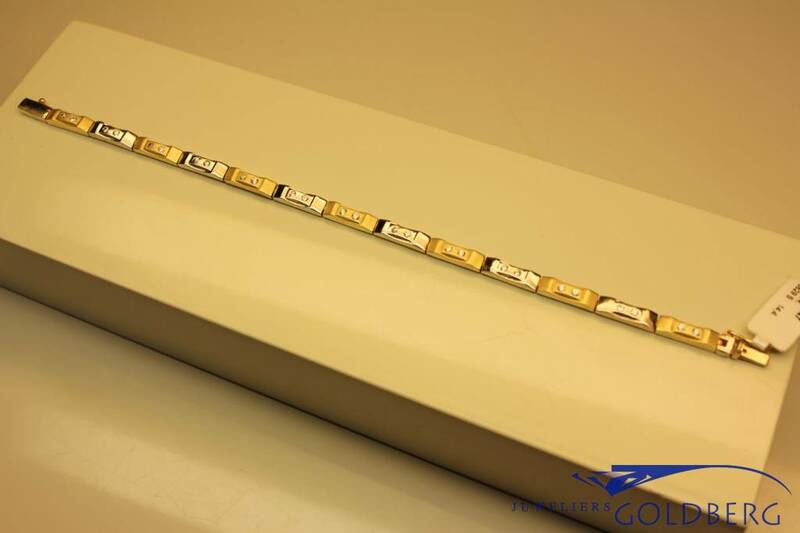 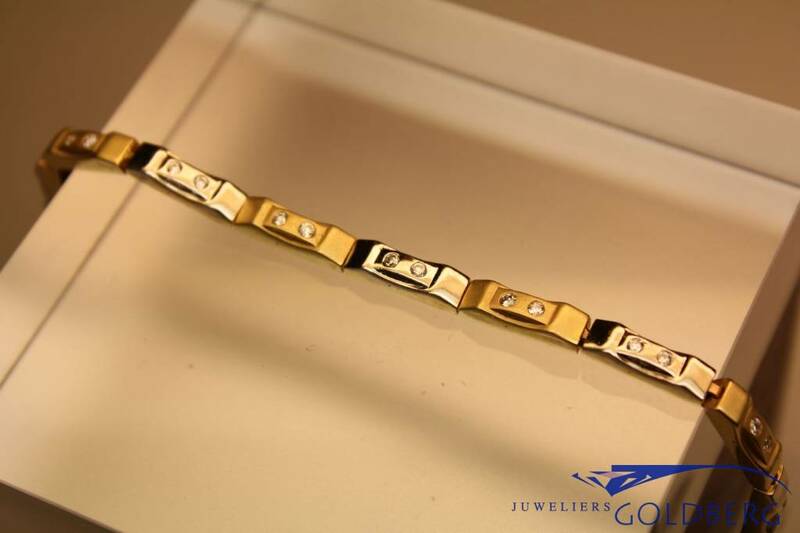 Nice 14 carat gold bicolor bracelet with zirconia's. 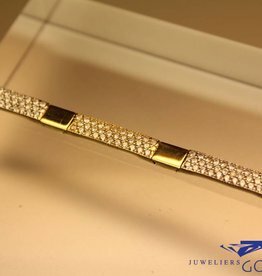 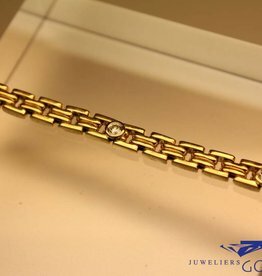 The bracelet is 4mm wide and 19cm long and is composed of glossy white gold plates, alternating with matted yellow gold plates. 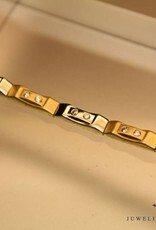 Very playful and sporty design.